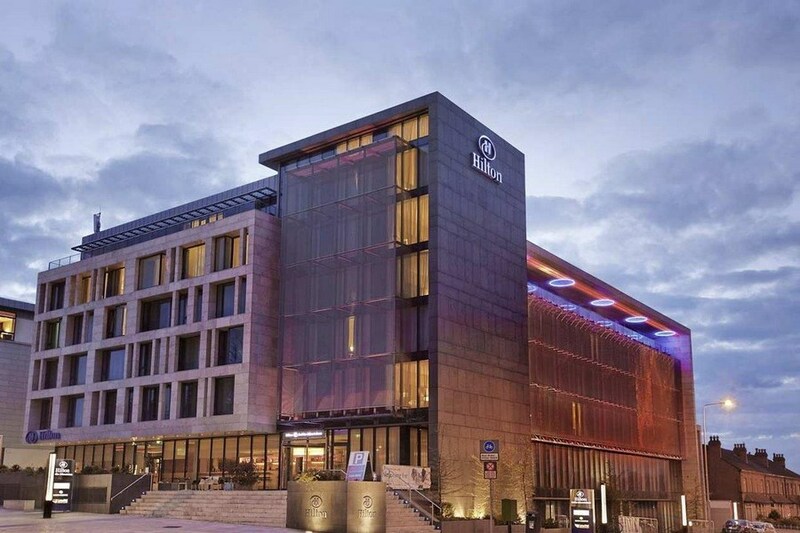 The Hilton Dublin Kilmainham Hotel is a delightful 4 star hotel located right in the heart of the Irish capital and within a short walk from many Dublin attractions. Had an beautiful stay at the Hilton Kilmainham. The room was beautiful , food was to high standard and the staff were very friendly. I got a very reasonable rate. I will stay again on my next trip in Dublin. Excellent hotel and great value for B&B! hotel lovely, rooms large and spacious, food in restaurant very good and service excellent. Only negative comment I would say was the breakfast service etc. Had to ask for several items for the table for example, milk, side plate, tea and coffee. good selection of food for breakfast so overall it was good. Excellent, staff very accommodating, food was excellent and we made great use of the facilities. Will definitely be back. Many thanks! No problems check in/out.Guest services and leisure very good.It is easy to use use local transport and taxi services.Food good,very good breakfast. Amazing experience!! Best hotel stay I've ever had. Will definitely be back! Excellent hotel. I had a lovely room. Despite being in the city room was quiet. I loved the pool. All areas of the hotel were very clean. It serves what I think is the best breakfast in Ireland. Have stayed here before and had great experiences. This one was not up to scratch. Hotel and room and pool etc. was good. Dinner and breakfast were a disaster. Had to wait far too long to be seated at both. And then at the end of the meal we left and were called back by the waiter for payment. We explained it was a dinner, bed and breakfast deal. And he insisted he couldn't charge it to the room. I even had to show him the email. (this was all happening in front of other customers). After him embarrassing us, he brought us out to the front desk to check. We again waited. He then said "It is okay, you can go". There was no apology. Breakfast was also bad. We were brought in by a waitress you brought us to two tables only to realise they had no tables set up. We sat down and it was then set up. We went for food. There was no bowls. They then brought out massive dessert bowls instead. There were no mushrooms. The full fat milk ran out and was not replaced leaving only semi-skimmed. Overall the restaurant has let the hotel down. We have thoroughly enjoyed other stays here, but as a result of this stay, will not be coming to this hotel again. Very nice hotel and facilities are really good. We had dinner included in our stay and did find that there were not many choices on the dinner menu. I would highly recommend the Hilton Kilmainham. The staff were excellent. The room was very clean and modern. The breakfast was gorgeous. Had a wonderful stay and will definitely return as I have done many times before. Well done all. Good value for money hotel. Great staff, a real bonus for any hotel. Would definitely stay again. My friend and I had a wonderful overnight stay in the Hilton Hotel. The staff were so helpful both in the restaurant and at reception. Bedroooms were excellent and food in dining room good too. Could not fault our stay at Hilton Kilmainham in any way. V comfortable stay, friendly staff, spotlessly clean, welcome pack of bottled and carbonated water was an added bonus. Would definitely return in future without hesitation. Location was fantastic also - just a 30 to 40 minute stroll into the heart of Dublin. Would give a 5 star rating. Lovely hotel.Friendly staff,very comfortable beds, nice rooms, big tv.Breakfast the next morning was very big and catered for everyone.No issues whatsoever.Will stay again. Perfect. Staff very nice and friendly. Third time staying here, great location. Reception staff were super friendly, and helpful. Breakfast waiting staff a little rude rushing us for breakfast when service was still on for 20minutes. Used the leisure pool and gym good facilities. Excellent hotel, Very clean and great value. Set dinner menu poor. Wow, a fabulous hotel. 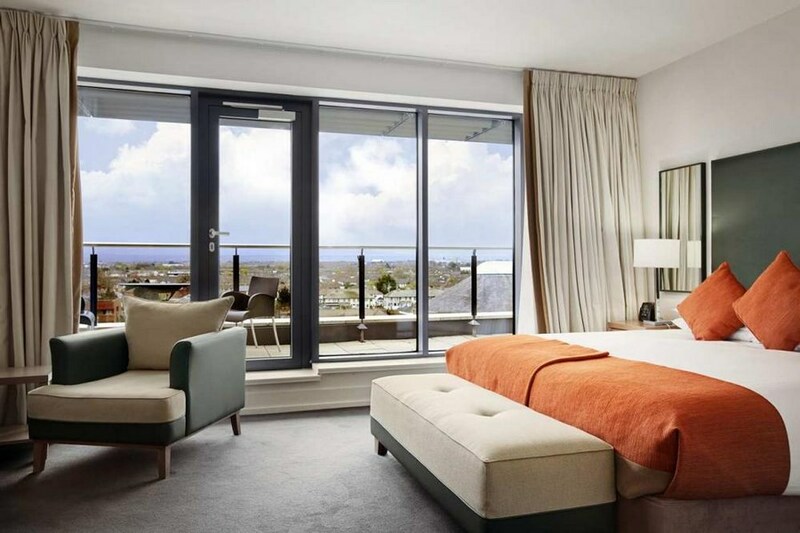 Modern and spacious bedrooms. Tasty breakfast. Friendly staff. Lovely relaxing pool. Great value. I will definitely be back! Forget Paris, Forget Rome Forget New York. This is the most Romantic place in the world. We have stayed in the Hilton a few times the staff are pleasant the gym and pool cant be beaten the rooms are great, we and have eaten there too, the food is perfect. My review is about the area rather than the hotel. But this is the reason to stay there. After a drink in the lounge which is reasonably priced for a Hilton we went for a walk to increase our hunger levels. On the way back we noticed a small Italian eatery over the Pub "The Patriot" we decided to eat out for a change. I won't review the place that's not fair. We sat upstairs beside a window and as we chatted (we are a couple) I could not help but take in the beautiful a view (Of course I refer to my good lady as well as the surroundings) Beneath me I had a Pub named the Patriot after all the men who gave their lives for this country, possibly even used by them and soldiers at the time, to my left was Kilmainham gaol now a museum where leaders of the 1916 Easter Rising, were imprisoned and executed, and the song "Grace" comes to mind a tragic romance of that period. To my right stands the royal Kilmainham Hospital whose history dates back to 1684 where the graveyard bully acre a 1000 year old graveyard resides. But now a modern museum and a location for the best outdoor music concerts in the city. In the distance I see the Phoenix Park, one of the largest walled parks in Europe containing the Zoo founded in 1830 the Papal cross as a remembrance of the pope visit the Obelisk a British memorial that the IRA tried to blow up. The Park and the Zoo are renowned for romantic rendezvous for many Dublin people and indeed visitors. The river Liffey runs between us and the park, the river that created the town over a 1000 years ago. Behind me I know but cant see the Grand canal as we had passed it on our walk earlier, imagining the Guinness barges transporting there goods all over the country. I could name more romantic and nostalgic places like the Irish national War park, Museum, Hueston train station and more not a stones throw away, but my glance finally falls on modern Dublin the Hilton hotel, a fine building fitting in well with its surroundings with couples sipping coffee out doors on the Veranda, and tourists going about their business, I point this all out to my good Lady as we watch the Italian waitress bustle about and chat to Italian people who obviously come here for the authentic food. And she turns to me and smiles and in true Dublin fashion says " your full of Sxxt" but your right this beats anywhere else in the whole world. Really enjoyed the our stay, beautiful hotel and rooms are superb! 5 mins walk to train / Luas so pretty easy to head to city center. Would definitely recommend. Fantastic hotel, stayed on Saturday 26th July and throughly enjoyed our stay. Food was excellent and staff were extremely friendly and accommodating in every area of the hotel. The rooms were very well proportioned and layed out with very comfortable beds. Would highly recommend this hotel and would love to go back!!! Room lovely and clean. Friendly staff. Nice food. Would recommend this hotel. such a fantastic hotel. one of my favs. from the staff to the service to the food to the comfort. never had a complaint. 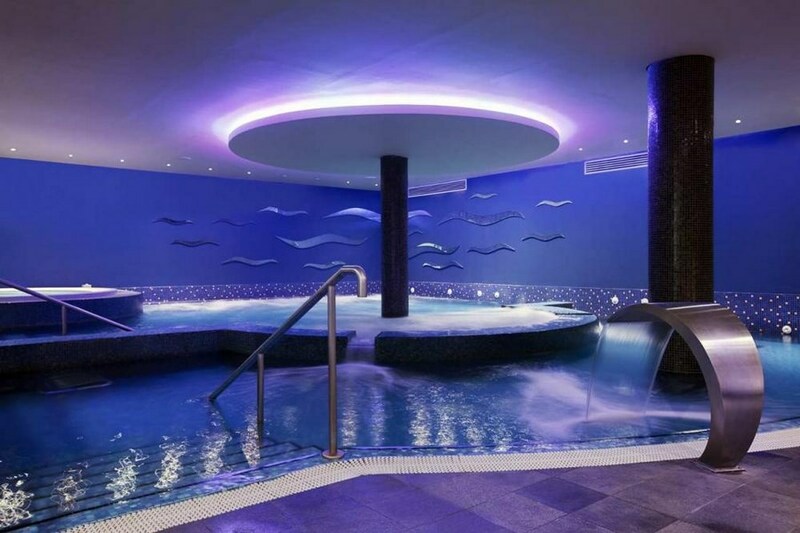 Luxury hotel with superb leisure facilities and quality food. Staff friendly and very helpful. Dinner more than adequate to satisfy the largest of appetite and breakfast was the best selection I have seen in 25 years of travelling. Bedrooms were clean and comfortable and fantastic cocktails in the 4 corners bar. Lovely hotel in good location for city centre. Rooms very high spec and spotlessly clean. Staff very helpful and friendly which is great to see. Breakfast very good and served until eleven o clock which is great at weekend. Time in the Hilton Hotel was excellent! Everything was ok! More-great. Service, workers were very kind and helpfull! Rooms pretty, very clean. Food in the restaurant (dinner, breakfast) delicious and service wow. We were very happy with the hotel overall. Had dinner on both nights, fairly small, basic menu but the food was lovely. Rooms bigger than most I have stayed in, beds big and comfortable. The receptionist was very knowledgeable and helpful when we asked about local tourist attractions. Breakfast was lovely. Pool area small but nice, clean etc. Bring your own swim caps as they charge for rentals. Kilmainham Jail is literally just across the road and for €4 entry is an absolute must see, very interesting. Taxi in to town was €10. Walking distance to Phoenix Park. Really nice Hotel, had previously stayed here previously on New Years Eve, Nice rooms, nice staff and leisure centre is great. Menu wasnt the best but didn't turn us off the hotel. The room and facilities were what you would expect in a four star hotel. Acess to town was reasonable ,and ther were some very interesting historical buildings,We were very impressed by a country style pub called The Royal Oak ,this is only a 5/10 min.walk away.We would certainly stay again. Our stay was excellent, staff friendly, room was clean, breakfast had good choices. No complaints. Really enjoyed our stay, the hotel was so comfortable, spacious room with all the ammenities you need, Will definately stay there again. Stayed in Hilton last saturday night had a lovely relaxing night. Had dinner in restaurant it was excellent as was staff that attended us. Nothing was any trouble to them. Bar staff same very attentive & friendly/. Will def stay there again. Breakfast was lovely and to top it all car parking was at hotel so we had not to go looking for same €12.00 for overnight. The hotel was really lovely and was of the standard of a Hilton Hotel. Booking via Credit Card attracted a charge of €2.95 which was a bit disappointing as that is the normal way such a break would be booked. Parking was €12 per night so it worked out a bit more expensive than initially thought when booking. Online offered option of a twin room but this was not available. The hotel looked after my friend and I and offered us a family room. Staff were very friendly and breakfast was also satisfactory. lovely hotel and great breakfast but the awful dinner ruined our experience, it was inedible and we are not fussy eaters, also we got up and left and noone noticed. Hotel is lovely and clean with pleasant and helpful staff. Even the taxi driver was really nice! Had a great stay, thanks to the Hilton! Very nice, comfy enough bed, varied and healthy breakfast.